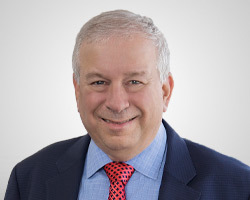 David Rosenberg is chief economist and strategist of Gluskin Sheff + Associates, Inc., with a focus on providing a top-down perspective to the firm's investment process and Asset Mix Committee. Prior to joining Gluskin Sheff in 2009, he was chief North American economist at Bank of America-Merrill Lynch in New York and prior thereto, Mr. Rosenberg was a senior economist at BMO Nesbitt Burns and Bank of Nova Scotia. From 2001 to 2008, he was ranked first in economics in the Brendan Wood International Survey for Canada, ranked second overall in the 2008 Institutional Investors Survey for the US, and was on the Institutional Investor All-American All-Star Team from 2005 to 2008. Mr. Rosenberg also ranked fourth out of 104 economists in the 2009 Thompson-Extel survey of global portfolio managers. He received both a BA and an MA in economics from the University of Toronto.